User 1: "I wish this next game will run at 60FPS"
User 2: "Yeah, but then the game will have PS2 graphics, I wish for the movie to expand the Ratchet fanbase tenfold"
How is Ps2 graphics a negative impact? "Yeah, but then it would be like the Star Wars fanbase; doubling the ammount of trolls!" "I wish that Ratchet could enter into the "look-a-round" view mode that TOD, ACIT, and ITN, had (just for the sake of seeing his arm stripes for the first time that close!)" Ok, but then the game will be stuck in that mode the whole time you're playing, including the slow speed and lack of a jump button. I wish for the RYNO to be hard to get in this game. Okay, but it's so hard that only someone in South Korea will be able to get it. I wish you could play as every character in the next (traditional) R&C game. But then it wouldn't be a "traditional" RaC game, would it? I wish Ratchet could swim again. Granted, but every level will be like Rilgar and Sharks will eat Ratchet when he goes into the water. 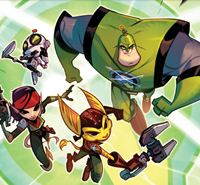 I wish every planet and character from the original Ratchet and Clank game will be featured in this game. But then it wouldn't be a "reimagining" now would it? I wish the swingshot returns as an actual thing, instead of a beam that comes out of your hand (as in A4O, FFA, and ITN). Ok, but now there will be a random chance of the cable missing the target or snapping completely. I hope Clank's gameplay segments are good and fun to play. But there will be only two segment and will last only for a min. I wish the company with did the "crack in time" graphic will return to do the next r & c game. Granted, but by then the graphics they do will be outdated. 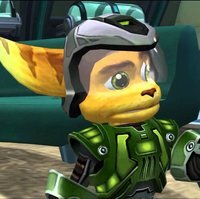 I wish Ratchet & Clank was on PC. But they sold the game engine to Prototype Titanfall (true story). I hope that interchangable armors return (like in ITN). Sure, but they are only available for Clank. I wish Ratchet would stop acting like such a perfect and responsible role model. Granted. The game is now 18+. I wish the new RYNO will function the same as the first ever one. How would it be new then? I wish that the new characters from the Future saga don't appear in either the game or the movie. Okay, but they'll appear in the sequel. I wish Spyro would make a cameo in the next game.